Andrew, do you want to tell our fans a bit about yourself? Hey Emily. Thanks for having me on the podcast. I'm the marketing manager for Wirecast at Telestream and that is our live streaming product which allows you to stream to Facebook, YouTube, or any RTP destination and lets you turn your computer into a TV studio. For anyone that is unfamiliar with Telestream as a company, can you tell us a little bit about the company, its history, etc? Telestream was founded in 1998 in what we sort of call "Video Valley" out in California. You've probably heard of Silicon Valley, but not many people have heard of Video Valley. I actually heard that there is another video valley that is vying for that title. But back in the day, there were a bunch of companies that sort of spun up in this northern area of California in the foothills near Lake Tahoe. And it produced some of the largest video-related companies in the world like Grass Valley Group came out, Litton Industries, and a bunch of the technology when video was still in its infancy was developed here and patented here. Video Valley created an environment where other companies would spin off and use technology and engineers that worked at some companies would start other ones. Telestream was one of those companies. It started as a sort of video/fax machine company back when the internet was just getting going. They realized it was a lot easier to send video over a telephone wire than it was to package, tape a shipping label, and send it in the mail. So, they started with a very early product called Clip-mail which would save a lot of time if people would need to review or preview video across long distances. It was particularly used in things like Daily and things. And then it just kind of went from there. They continued to add and refine the compression and the transcoding technologies that would allow better and better-quality video to be sent over the internet. And we had a number of products in the transcoding and media automation workflow and we've continued to dominate in that space. Now, many of the major broadcasting companies like HBO, CBS, Viacom, you name it, they all use Telestream products for compression, media automation, and workflow. Then along the way, the desktop side of the business group and we acquired some companies that had some amazing products like Wirecast and Screenflow and became sort of an PDC company as well and we've continued to grow that side of the business as well. So, Wirecast is one of our most popular desktop products and has been one of the biggest successes for video streaming and production for desktop and consumers across the world. What makes Wirecast such a great tool for live streamers? I think the number one thing we hear is that it is really easy to use. It was built from the original designers who came on board when we acquired their company and the Wirecast software about 10 years ago. And they had not come from a traditional video production background. So, they weren't trying to design or re-design a switcher that you might find from like Grass Valley Group or something like that in a major broadcasting studio. They were trying to design a desktop application specifically for video switching and streaming. So, they tried to build it as easy and simple to use as possible. And their idea was basically layers, kind of like you would do Photoshop or anything else. And they just figured that you would want a foreground layer where you could put titles. You probably want a middle ground where your cameras are, and you may want a background in case you do a Chroma-key or you remove the background, and they thought that maybe another layer for audio would be good too. So, you could operate these different layers and stack them in the way you want. So, with that sort of operation principle in mind, they designed the Wirecast interface to make it really easy for people to just click on what they wanted to appear on screen and that was sort of a video/image mixer for the desktop computer. They also made Mac and Windows versions, so that made it really popular across the board because you could basically have the same experience whether you're on a Windows platform or a Mac platform. And I think those were some critical pieces to the early success of Wirecast. And then the final thing is we've started to see this interface replicated out there quite a lot. So, a lot of newer competitors or products have copied the Wirecast model and way of doing things. It's sort of proven that it's a very successful and easy way to mix and create live video. Thinking from a small church perspective, someone that might have zero experience streaming, how long would it take to become proficient just to be able to live stream your church service? That's a really good question and we get that a lot. So, the story I typically tell in response to that is that before I worked at Telestream, I worked as a teacher in middle school and I taught my fifth graders to use Wirecast and usually they were up and running in 10 minutes or less which was pretty cool. So, I know there's the show "Are you Smarter than a Fifth Grader", sometimes that's not true for adults. We just aren't. But ideally, at least you can learn as quick, or as quickly as a fifth grader. And we try to produce a ton of easy-to-watch videos and tutorials. We also always include a free tutorial document that sort of opens up from the help menu or when you first open the program it'll ask you if you want a quick tutorial. And that's a great way to learn, I recommend that. That's how I first learned on it. And it just has little - it's actually in the user-guide, chapter 3 I think, there's a little document you can load that's already been created. It has a couple of video pictures in it, an animation, and you just learn how to switch the software, how to add a transition, and it just walks you through it step-by-step. And it takes you maybe 20 minutes or something like that. So, you can get someone up and running who has never streamed or produced video in their lives really fast in just a matter of minutes. And they can be quite comfortable with the basics and set up some pretty good live video streaming whether it's for a church or presentation they are doing or some sort of live event. One of our most popular selling live streaming brands is PTZ Optics, I'm sure you've heard of them, for total beginners that want to be broadcast. I was wondering how Wirecast sort of integrates with that camera line since it is one of our most popular? 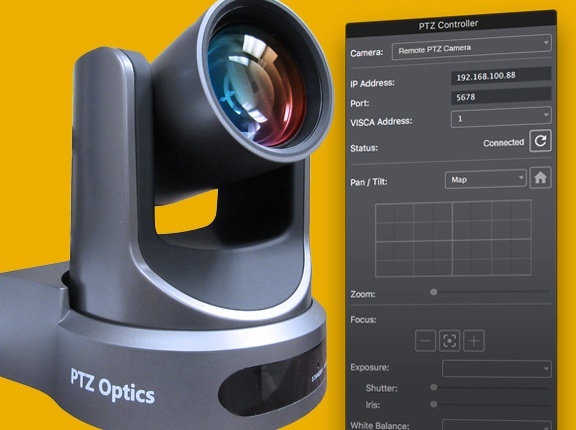 The PTZOptics camera line has become one of the most popular cameras that people ask about and we've really seen a huge increase in the demand for those cameras and for using them with Wirecast. What's so great about them is they have really hit the perfect balance between price and features for a pan-tilt-zoom robotic camera. And most pan-tilt-zoom robotic cameras are either not worth the money or they're way too expensive. They're just out of reach for most people and they don't have the connectivity like you need them to. You can't plug them in by USB if you need to or they don't have HDMI out or they have some sort of proprietary streaming format or they don't have a great lens system, their image quality isn't very good. And PTZOptics has all those things at the right balance. So, it was really important to us to make sure that brand of cameras was supported in Wirecast. So, our sales team, our support team are very familiar with them. We have models here at the Telestream headquarters that we work with all the time and we can walk customers through setting up the cameras with Wirecast as well as controlling it using a new PTZ control panel that we've built into Wirecast, so you can actually give the camera commands over your network, over the ethernet cable, to change position, to move in, to go to a different preset, and I like to say when somebody buys a PTZ camera they are really not just buying one camera, they're buying almost several dozen cameras or a hundred cameras because one camera can remember so many different presets and positions and change between them so quickly so you can get all kinds of value from a single camera by changing the angle, the zoom, you can zoom out wide, punch in for a close-up, you can do a tracking shot. There is just so much you can do with these cameras and they are really pretty special I think. I think the hardest part is just the initial setup. And I think that's maybe a good point in general with Wirecast. Wirecast is easy to use, but like with most live streaming setups, if you do a little more work up front, the actual production is the easy part for the most part. If you loaded your titles in and your graphics, you've got your video clips planned out, you're going to go from this shot to that shot and you've already got everything loaded and saved in a document then really the live event or the streaming part is the easy part. You're just clicking between different things and sort of cutting in to the right camera shots when you need to. And if you've done all the work up front, then there's a lot less to worry about when it's actually going live. And I think it's the same with the cameras. If you set them up correctly, saved your presets, got them loaded into Wirecast, it's a lot easier. So, I think once they're talking, it's super easy and so simple. All you need to do is the tricky part just making sure you plug in the camera and that you know its IP address. For maybe somebody that's a little more experienced with Wirecast, could you tell us about some of the coolest features that people don't know about as much? That's a long discussion. Wirecast is deceptively simple and is actually a very deep and feature-rich software. So, you look at the interface, it doesn't look like there's a lot going on - and that's intentional - but once you start scratching below the surface a little bit, you find a lot of hidden functionality that you would use if you're a more advanced user. So, some of the things, just to cover a few that people might be interested in, first of all the Chroma key is important. I think that is used frequently with anyone who wants to remove green screen or blue screen background. For compositing, that's so important for high-quality video production or if you're working in a virtual studio. Other advanced features are things like just simple things as if you plug in an advanced audio device that's using a common advanced audio codec or protocol or USB mixer to surface multiple channels to the computer. So, Wirecast can see if you plug in a USB mixer, a five channel mixer, an eight channel mixer, Wirecast will see each individual microphone plugged into that mixer and you can manipulate or add those to your video shots as needed rather than just take up the stereo mix which takes all those different channels and mixes them down and just makes the stereo a one or two channel thing. That's just a simple thing. But it means a lot if you are a more advanced professional user. There's other things that are really cool, like it has built in audio and video syncing and delay features. So, if your cameras are PTZ Optics cameras and maybe the video signal is coming in a little behind the audio from a different source, or vice versa, and you just need to slow one down so that they match and sync, you can do that. So, that's a big deal and if you were to buy hardware that did that, it would be thousands and thousands of dollars that could do the same type of thing. So, that's another advanced feature. There's other things like local program output. So, if you have a Black Magic or HDMI card plugged in that has an output, you may want to put out HDMI or SDI back to a television screen, or an overflow room or an external recorder. 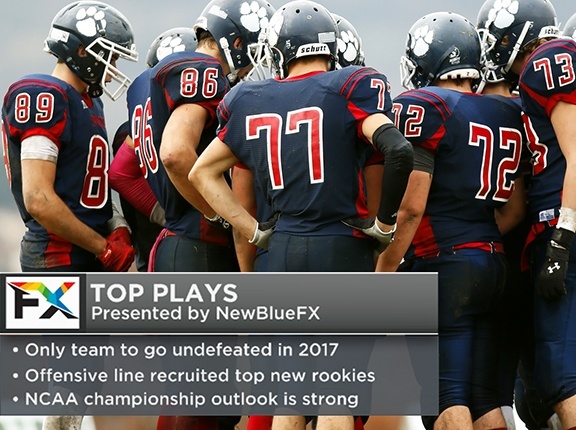 There's things like NDI output, NDI input, screen capture, being able to display things like web pages and web sources, and then of course there's this whole partnership we have with New Blue FX which creates an amazing graphics and entitling program software which can run sidecar, or ride along Wirecast and basically develop all of your animated graphics packages. You can roll those in and out as you need them. So, sky's kind of the limit on how complicated you can get with Wirecast and that's intentional. But ideally, that stuff is there so that it's there if you need it and it can scale with your workflow as you go. But for beginners who are just getting started, Wirecast has to strike the balance between being easy to use as well. I heard you mention NDI in there which is something that I wanted to ask about if you are working on any NDI solutions or what you've got for NDI currently? We are excited about NDI. We implemented it I think back when it was in Wirecast 7. I think we're on 10 now, so NDI's been there for a while. 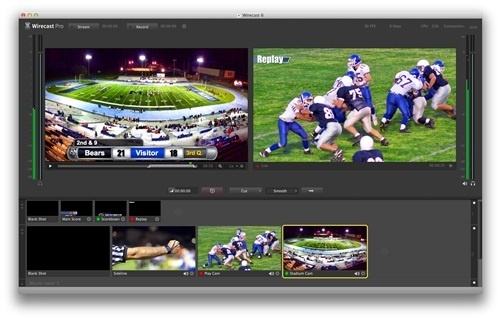 The ability to bring in video over the network is so important and now that NewTech made it a free protocol or standard to implement that it really sped up the adoption so that there is software all over the place and other manufacturers are making so many different NDI solutions out there that now Wirecast is part of this network and can listen and grab NDI sources from everything from cameras like the PTZ Optics cameras, to screens and desktops, to animation software like Adobe Creator animator, you can grab video out from your Adobe Premier timeline and play that right into Wirecast through NDI. And then of course, Wirecast can output NDI as well, so if you need to pass the Wirecast program mix anywhere along your network as NDI you can do that too. So, it just makes connectivity across different software and devices so easy and the quality is really great. Are there any other new updates we should know about or any other things you want to add before the end? Yeah, absolutely. So, you can get Wirecast for free at telestream.net/wirecast and download it and try it. It's got a water mark on it, but there's no reason the software will cut you off. You can learn it and try it and test it with your cameras and NDI devices, so that's a cool, great way to teach yourself, learn it and start messing around with it. Then we recently, just today, are announcing the new web services which are really cool. Now we've built in two services in the cloud for all Wirecast users which connect right to your Wirecast software and allow you to imbed live captions, closed captions, directly into Wirecast and to all of your streams. So, people who are deaf or hard of hearing can watch and get a caption file. But of course, it's embedded, so they can turn it on or off if they want. It doesn't have appear on screen if you have a close-caption player like YouTube or Facebook or something like that where you can turn those on or off at your discretion which is great. And then we also have the re-streaming service which is really a huge bandwidth saver and a processing power saver because a lot of people want to distribute their live streams on multiple platforms at the same time. They want to stream to YouTube, Facebook, Twitch, or Periscope and that can really eat up your bandwidth if you have a limited upload connection speed, or it can eat up your processing power because every time you spin up a new destination your encoder, like Wirecast, has to crunch a new stream for that destination. And that can take up precious resources. So, the re-stream service allows you to basically just send a single stream to our cloud servers and we will copy that and duplicate it and send it out to multiple places, that way you're only using your upload connection for one live stream and the cloud takes care of the rest. 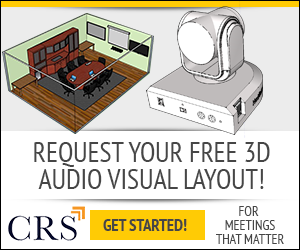 So, those services are now built into Wirecast and are available for a low monthly fee.